With approximately 54,000 miles of streams and rivers, Kentucky has more miles of running water than any state except Alaska. Wet your paddling blade and whet your paddling appetite with the authority on paddling the waterways of KentuckyA Canoeing & Kayaking Guide to Kentucky. 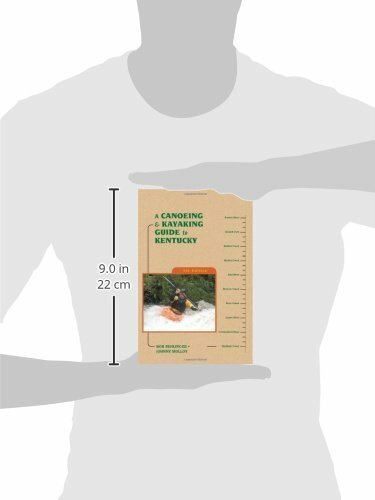 Researched and written by veteran outdoor writers and paddlers Bob Sehlinger and Johnny Molloy, A Canoeing & Kayaking Guide to Kentucky is as vital to enjoying Kentucky’s waterways as the boat itself. 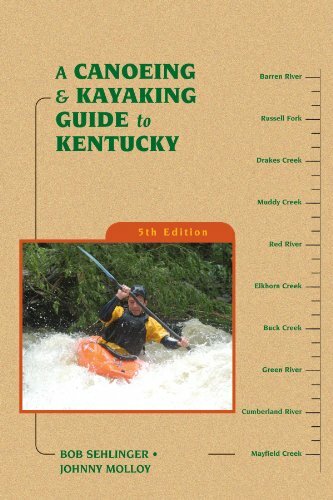 From the coal fields of Eastern Kentucky to Kentucky’s western border along the Mighty Mississippi, this redesigned and completely updated guide to paddling the creeks, rivers, and coastal waterways of the Bluegrass State covers thousands of miles of paddling that range in difficulty from scenic floats down the Cumberland to whitewater runs of the Russell Fork. New maps, new river profiles, completely updated contact information, at-a-glance data that includes class, length, time, gauge, level, gradient, volume, and ratings for solitude and scenery make this guide an indispensable river companion.